As computers have become increasingly important in our everyday lives, their potential to strip away our privacy and autonomy increases exponentially. 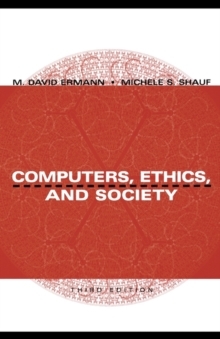 This book offers a comprehensive, interdisciplinary set of readings on the ethical and social implications of computer technology. Taking into account technical, social, and philosophical issues, the contributors consider topics such as the work-related ramifications of automation, the ethical obligations of computer specialists, and the threats to privacy that come with increased computerization.